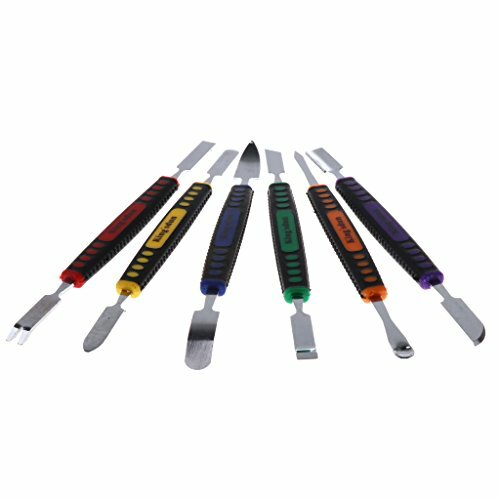 - Brand new and top quality professional hardware tools. - This tool set is used to safely open the phone,without damaging the cover. - Replace damaged worn parts/fascias/housings/LCD screens on your phone. - 6 in 1 repair tool set,practical and useful. - Suit for computer,MP3,MP4,camera,watch,iphone,HTC,OPPO,Samsung etc. Brand new and top quality professional hardware tools. This tool set is used to safely open the phone,without damaging the cover. 6 in 1 repair tool set,practical and useful. Wireless Earbuds, Vacio Wireless Handsfree Music Earphone Bluetooth Headphone with Noise Cancelling Super Stereo Bass Headsets for iphone X/8/7 plus Android, Samsung (Blue).